As a common denominator in most of the commitments made in the Open Government Alliance (OGP), we find a progressive development of open data portals and catalogs, and the LATAM region is not an exception. That is why we want to analyze the situation of Open Data in Latin America. Publishing through portals the wide variety of information produced by the public sector, being reusable by citizens and the business sector, it has as a common goal to improve the quality of life of the inhabitants. For it, arises Open Government Platforms in Latin America which we are going to analyze today. Achieving it, however, is a task that is addressed from each government, so that its state and progress depends on dissimilar factors that ultimately determine the greater or less success of them. As it is logical in such a large geographic area, maturity is uneven, and there is a long way to make public data available as useful as would be necessary, although progress is also continuous. At different rates, but the initiatives are continuing and perfected. The availability of the data finds deficiencies within a broad casuistry and even in the best initiatives, which have the functions of search or classification of data sets, we observe that they lack other more specialized ones. Among others the ones that have geospatial instruments, for which further development is needed. Without a doubt, a great challenge that is well worth it. Not surprisingly, perhaps with special focus on LATAM, taking advantage of open data is revealed as a key aspect to efficiently overcome old governance challenges in the region. On this occasion we wanted to take a look at the situation of open data in Latin America, in particularly, implementation of platforms taking into consideration that they do not end with the creation of a good portal and, at the same time, must be framed into a Decided OpenGov policy. Due to the amplitude of the article, we have divided it in two parts in order to cover a larger number of countries, in order to offer a representative overview. The data stored in the national public data portal, as established in Decree No. 538/2013 in Article 4, will be published seeking the ease of understanding and use by the public through an open standard format, and, among others Requirements, shall be of proven public utility. In this same concept, the study entitled “The Latin American portals of open data: new tools for access and reuse of government information” (2014), by Silvia Cobo Serrano, a researcher at the Universidad Complutense de Madrid. In this paper, a selection of the portals and catalogs of open data from ten representative countries of the Latin American region are analyzed, among them Argentina, Brazil, Chile, Colombia, Costa Rica, Ecuador, El Salvador, Mexico and Uruguay. In relation to the first, it is pointed out that it presents a small number of datasets in the catalog of its portal, well behind from other countries like Chile, Colombia, Brazil or Costa Rica, that lead the percentage estimate. With the exception of these four exceptions, however, the report concludes that the datasets in the catalogs of the Open Government Portals in Latin America are scarce, although we must take into account the evolution of them since the date on which it was carried out . The Public Data portal, presented in March, contains budget information from contracts and public tenders, salaries of public employees and general state information, although the commitments made in the OGP are broader. In this newly opened portal, the data are available in an open and reusable format to facilitate its understanding and use by the public, as well as for its use in an interactive way. Although the portal of the Brazilian government has data that are easy for the citizen to understand, for the most part they are “not very interested”, and there is also “aggregate information, very technical language, that limits the use”, concludes the Analysis “The process of open data in Brazil and Spain: positive aspects and difficulties”, by Carmen Pineda Nebot and Marco Aurelio Marqués Ferreira. Among the advances, the work indicates a greater effectiveness of the opening of data with respect in education, in addition to employment and income. On the other hand, according to the regional analysis carried out by the third edition of the Open Data Barometer (June 2016), Brazil is part of the leader group in the ranking of the most advanced countries in data entry, behind Mexico, a short distance from Uruguay and Colombia. Together with Colombia, Costa Rica, Chile and Uruguay, Brazil has fully operational centralized portals, according to data from the OECD study on Public Governance “Open Government in Latin America” (2015), which has search functions, classification, Feedback, complaints about the quality of data, forums and accessibility functions for the visually impaired. In relation to the issues in general, according to the same OECD study, in Brazil the data sets available in centralized portals refer to topics of social information, information on tourist and recreational activities or information of educational content. On the other hand, we find data also open in individual portals (non-centralized) in relation to the last two topics mentioned, as well as scientific research and data research and defense, although in the latter also stresses the lack of data in any portal. In this latest report of the Open Data Barometer for the LATAM area, there is a drop in Chile’s score, mainly as a result of not having made progress in an intersectoral policy that helps to make intelligent use of open data. Even so, the study does not fail to mention the benefits that continue to be obtained through applications implemented by the government, such as iFarmacias, iBencinas or iTransantiago. It is also pointed out that an improvement is expected ahead of next year thanks to the expected progress at the municipal level. According to the OCDE, according to the aforementioned study, in Chile the data sets available in both centralized and individual portals refer to economic and commercial information, legal system, social information, transit and transport, tourist and recreational activities, and Information and educational content, this last category with information also accessible through individual portals. There are gaps, with data not available on any portal in areas such as defense, information and political content, scientific information and research on data and natural resources. Finally, the functions and characteristics of Chile centralized portal are similar to those of Brazil, except in the absence of forums and the lack of options that favor accessibility. In relation to Colombia, the work of the OECD identifies data of economic and commercial information only in centralized portals, while if we look for geographical information we will find it in individual portals. For its part, legal information also offers important gaps, and we can only find it in centralized portals, where we will also find environmental and meteorological information. Social information, about transit and transport, tourist and recreational activities, agricultural, forestry and fishery information or scientific information and data research, among others, are sectors where we will also find information only in centralized portals. In relation to the functions of the centralized open data portal of Colombia, the situation is comparable to that of the Chilean portal referred to in the previous section. Appealing again to the OECD study, the data sets generally available in open data portals in Costa Rica are found in centralized and individual portals for economic and commercial information, as well as on natural resources and political content, it is also observed that some groups Data are not available on any portal. Likewise, there are significant deficiencies in the areas of defense, agricultural, forestry, fishery and forestry information, public order and safety information. Economic and commercial information can also be found in centralized and individual portals, while data related to the legal system, environmental and meteorological issues, transit and transport, tourist activities, recreational activities and natural resources in some cases can only be found in individual portals. Again, we can say that the functions that incorporate the centralized portal of Costa Rica are similar to the two previous countries analyzed. Together with Guatemala and Peru, El Salvador has centralized open data portals that are still in development, according to the OECD report. In relation to content, according to the OECD study, there are many data gaps in the portals of this country, whether centralized or individual. With exceptions, data related to some matters such as economic and commercial information, are available in individual portals, and data related to agriculture, forestry, forestry and psychology, we will only find them in centralized portals. So far, the first part of this article. 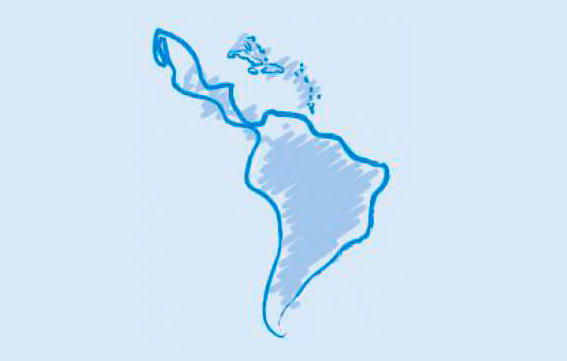 Next week we will bring you more information on the situation of open data in Latin America.